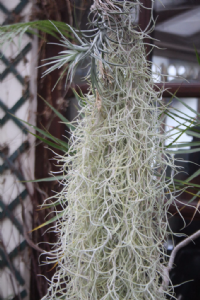 you may have seen Spanish moss (Tillandsia usneoides) in films about the everglades and bayous of the southern United States where it is a native plant that grows upon larger trees. It makes a beautiful and exotic addition to a conservatory and is surprisingly easy to grow. 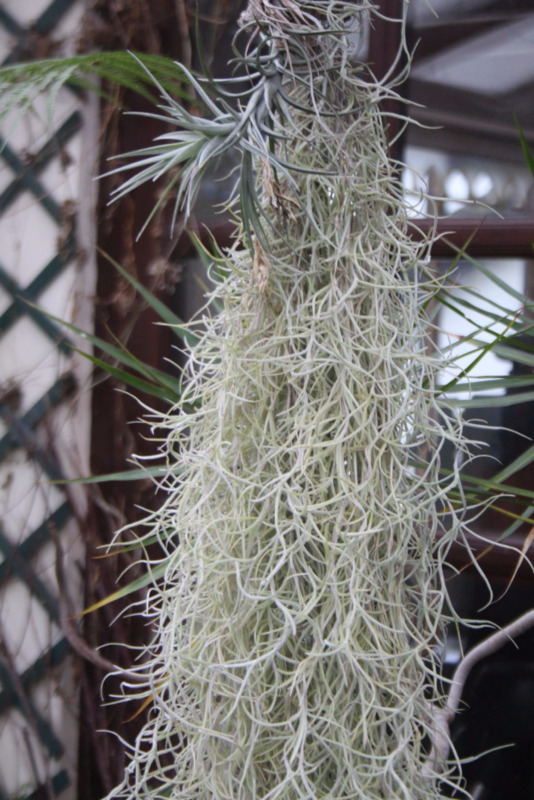 The plant's specfic name usneoides means "resembling Usnea", and it indeed closely resembles its namesake Usnea, also known as beard lichen, but in fact Spanish moss is neither a moss nor a lichen. Instead, it is a flowering plant in the family Bromeliaceae (the bromeliads) that grows hanging from tree branches in full sun or partial shade. The plant has no aerial roots and its flowers are tiny and inconspicuous. 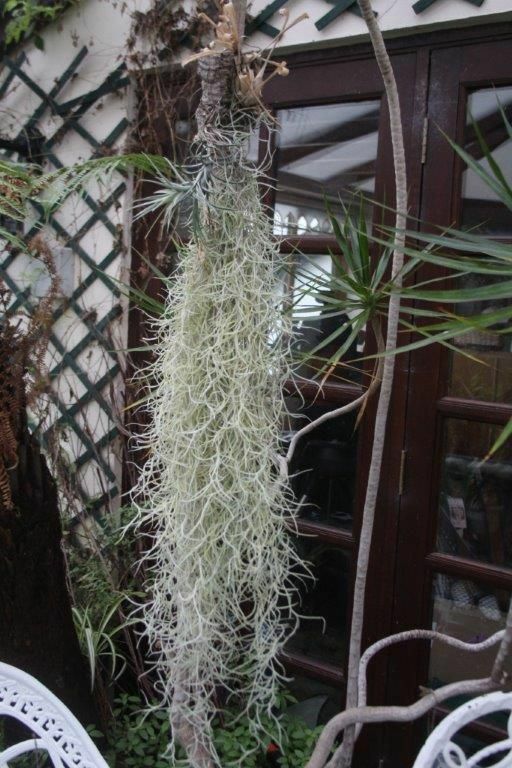 It grows happily in our conservatory with the occasional spray of water and airplant food.